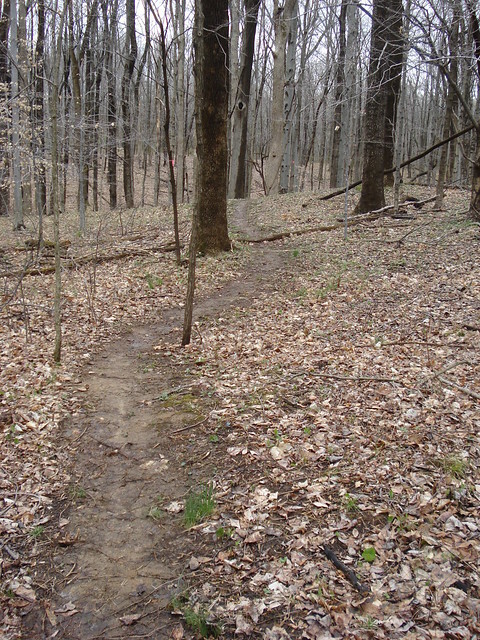 Along the rolling ravines of Southern Indiana's Harmonie State Park lies one of the newest trail creations of the HMBA. Work on the trails began last year and through volunteer efforts has progressed very well. As of this writing a 4 mile loop has been completed and should be open to the public by April 2009. The work that the HMBA has done is outstanding. The bench cut contour trails are exceptional and traverse some of the more naturally buautiful wooded areas of the park that had no previous recreational value. once the trails have been compacted and conditioned to mountain bike traffic, harmonie will soon be a synonym for for mountain biking excellence. Location: Harmonie State Park is located approximately 25 miles northwest of Evansville and 4 miles south of New Harmony in Posey County Indiana.